We all know what to expect from Spike's Lip Sync Battle, celebrities having fun miming along to famous songs and giving the audience a hell of a show along the way. 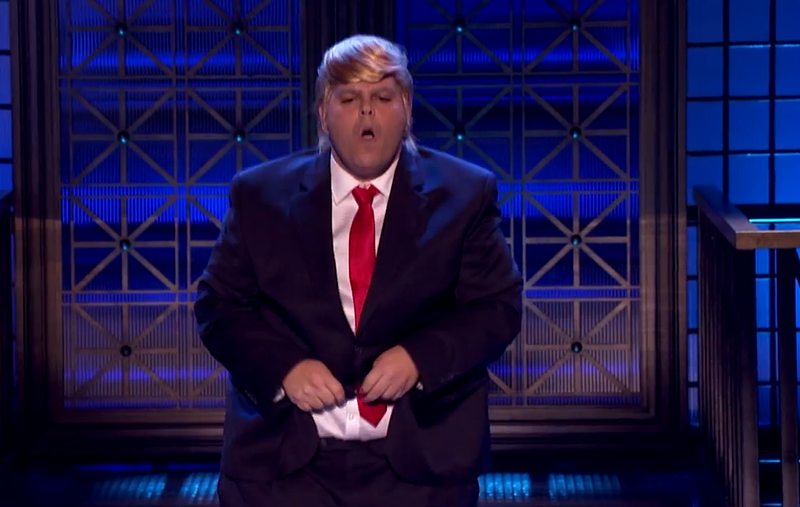 But things promise to get downright bizarre on an upcoming episode with the voice of Frozen's Olaf, Josh Gad, donning a Donald Trump costume to sing Dvinyls' I Touch Myself. If that wasn't weird enough, he strips down to boxer shorst made of dollar bills, channels Miley Cyrus' Wrecking Ball video, and caps its all by making out with The Big Bang Theory's Johnny Galecki. Check it out below, because seeing really is believing.